Ollies Mower Service are Kingaroy ride on mower specialists, providing affordable ride on mowers and servicing in the South Burnett region. We’ve been selling mowing and garden supplies from our Kingaroy store for over 40 years and are South Burnett’s trusted go-to store for mower sales, parts and servicing. Our exhaustive list of quality products ensures that we’ve always got something in stock to suit your needs and budget. Whether it’s a replacement mower for your aging unit or you’ve never ridden one before, our team will take care of you and have you walking out with the best ride on mower to suit your needs. To discuss our range of ride on mowers, give us a call on 0419 621 038 or take a look for yourself at our showroom. Whether you’re looking for something specific, like a 46” 20hp ride-on, or just want some general advice based on your needs, our team of friendly lawn care professionals have the knowledge and product range to back them up when finding the perfect mower for you. We’ve sold equipment to everyone; from commercial farmers to mums and dads and everything in between, and we’ve got something to suit your needs and budget. We’ve got an extensive range of products to suit almost any price point, and we offer interest-free financing on select models. Our delivery service includes a fill up of oil and fuel as well as a demonstration on how to use your new mower. After regular maintenance or need immediate repairs for your business? We’ve got a team of factory trained small engine mechanics on stand by for repairs and maintenance, with plenty of spare parts in stock for regular maintenance and urgent repairs. It’s not uncommon for our customers to come over and ask whether a ride-on or zero-turn mower would suit their yard best. 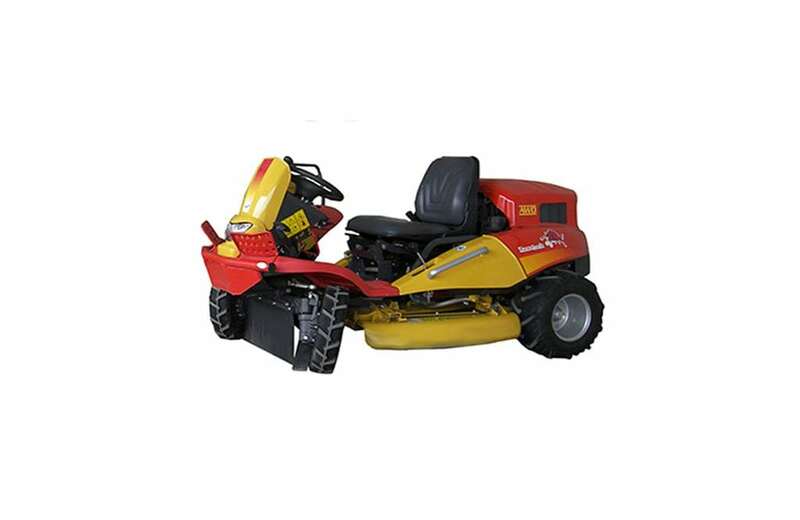 What we’ve found is that customers with a smaller yard or a yard with lots of tall slopes are suited to ride-on lawn mowers. Ride-on mowers are typically cheaper than zero-turn mowers of similar power and because of their differential and solid axle, they can take on taller slopes without fear of losing traction. Where zero-turn mowers excel, however, is when you have a large, relatively flat paddock filled with obstacles like trees that would make using a ride-on a slow process. The manoeuvrability of a zero-turn mower allows for faster mowing, but this is a moot point if your back yard is less than a quarter of an acre. Come and visit us in our showroom for tailored advice on what lawn mower would be best for you, with product demonstrations from our expert team. Give Ollies Mower Service a call to discuss our range of ride on mowers, or come and visit our Kingaroy showroom to see our full range for yourself. Call 0419 621 038.